GöteborgsOperan in Gothenburg, Sweden. Photo credit: Cecilia Boström. 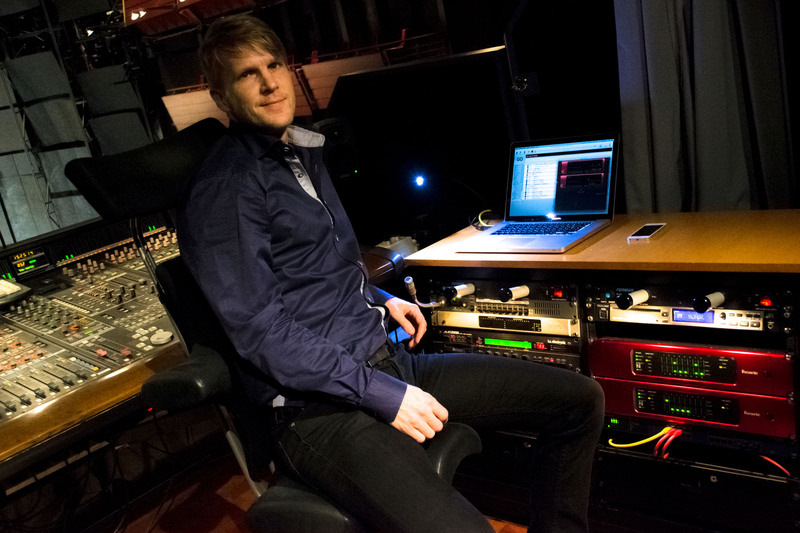 Andreas Renhorn, chief sound engineer at the GöteborgsOperan in Gothenburg, Sweden, pictured with Focusrite RedNet units (lower right). Photo credit: Cecilia Boström. Focusrite RedNet units used at the GöteborgsOperan in Gothenburg, Sweden. Photo credit: Cecilia Boström. Los Angeles, CA, February 6, 2014 – RedNet, Focusrite’s acclaimed range of Ethernet-networked studio interfaces, is being used for an increasing number of innovative audio applications requiring something special in terms of quality or performance. RedNet couples Focusrite’s legendary conversion expertise – along with superbly transparent mic preamps and other studio-quality audio capabilities – with the tried and tested Dante Ethernet-based audio networking protocol to record, distribute and play back audio over IP. 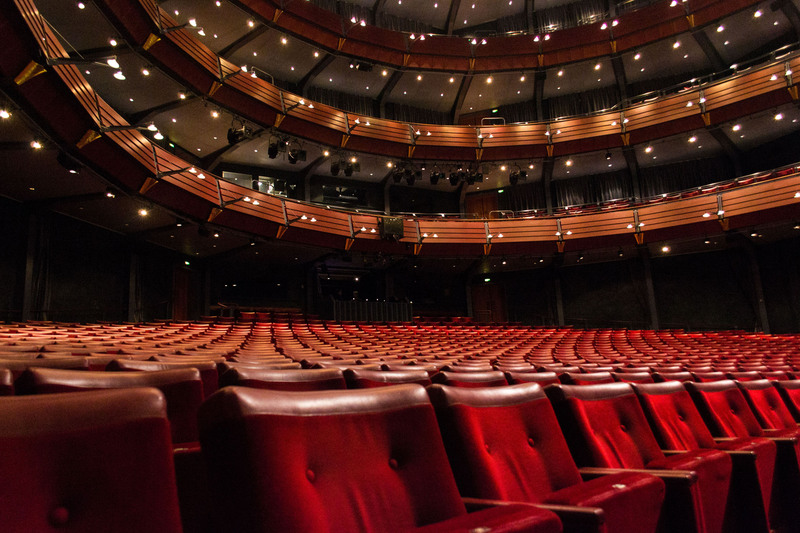 Most recently RedNet solved a problem for Andreas Renhorn, chief sound engineer at the GöteborgsOperan in Gothenburg, Sweden, when he was tasked with playing back 32 channels of high-quality audio including feeding a custom 27.2 audio system in the Opera’s modern riverside performance complex. The production The World To Darkness And To Me is a new dance work by New York-based choreographer Richard Siegal, with electroacoustic music composed by Lorenzo Bianchi Hoesch of IRCAM in Paris. Hoesch’s abstract, percussive electronic/sampled music directly complements Siegal’s ‘If/Then’ dance method, which combines written choreography with options for the dancers to co-create in an almost game-like environment where they pick up and improvise around each other's moves. Hoesch’s music, which was created with visual music programming language Max, required enormous dynamic range to convey a great deal of light and shade, and was designed to be played back in three dimensions via a special 27.2 loudspeaker array installed for the production. Using MSP audio extensions and 3D spatialization plug-ins, he was able to achieve extremely powerful manipulation of the audio. Hoesch used Ambisonic’s surround-sound system, which can seamlessly recreate a three-dimensional sound field where sounds can be placed anywhere in space completely unrelated to the loudspeaker positions. To replay this remarkable music in this advanced way, in this unique environment, was Renhorn’s primary challenge: “I needed to find equipment that was able to achieve the highest possible quality of digital conversion.” He also needed to get 32 channels of audio easily from one place to another. Renhorn soon found that Focusrite’s RedNet 2 A/D – D/A units offered the perfect solution. With 16 channels of studio-quality line-level A/D - D/A conversion per unit, a pair of RedNet 2’s provided exactly the right number of channels for the main system plus auxiliaries, and made it easy to get the audio where it was needed thanks to the plug-and-play Dante Ethernet-based networking. For the performances, audio was sent from a MacBook Pro running QLab, a cue-based multimedia playback software system designed for theater and live work. Using the Dante Virtual Sound Card (DVS) driver – which is provided free of charge with any RedNet unit – the MacBook Pro’s internal Ethernet port was used to carry digital audio to the RedNet units via a standard NetGear GS716T switch, which sits between the RedNet units and the computer. The analog outputs of the RedNet 2’s were fed into the 29-channel d&b-based replay system via DB25 cables, with two additional channels for stage foldback and one more for voice. The result was an amazing multimedia experience. Sound elements, often derived from samples of the Opera’s musicians, tumble around, across and up and down the 1300-seat auditorium, in sync with the dancers in large and small groups and dazzling lighting effects. For similar performances in the future, Renhorn plans to use a RedNet PCIe card in a Thunderbolt PCIe chassis for even better performance and minimum latency. Also available in the RedNet range of Dante Ethernet-networked audio interfaces are RedNet 1, an 8-channel A/D – D/A unit; RedNet 3, a 32-channel digital I/O unit; RedNet 4, an 8-channel remote-controllable microphone preamp; RedNet 5, a 32-Channel bridge between any Dante network and Pro Tools|HD; RedNet 6, a 64-channel bridge between any Dante network and MADI system; and the RedNet PCIe card, which provides 128 I/O for Mac or PC computers at less than 3ms latency. Photo Caption 1: GöteborgsOperan in Gothenburg, Sweden. Photo credit: Cecilia Boström. Photo Caption 2: Andreas Renhorn, chief sound engineer at the GöteborgsOperan in Gothenburg, Sweden, pictured with Focusrite RedNet units (lower right). Photo credit: Cecilia Boström. 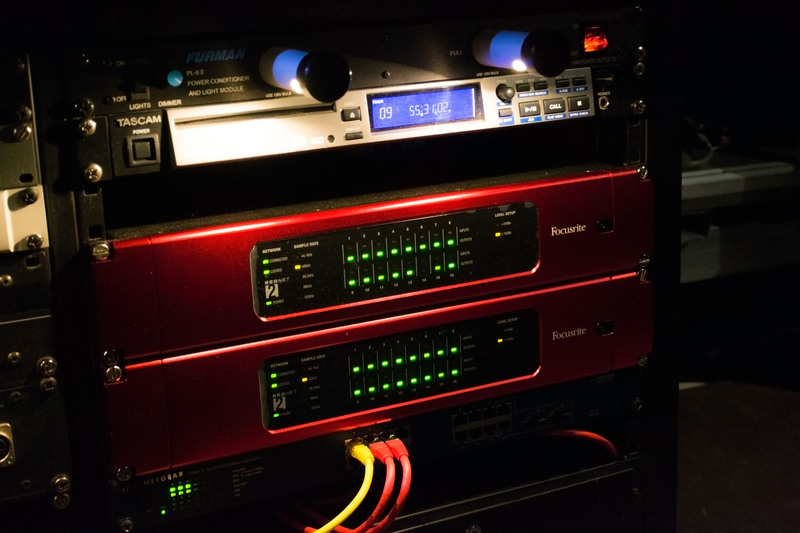 Photo Caption 3: Focusrite RedNet units used at the GöteborgsOperan in Gothenburg, Sweden. Photo credit: Cecilia Boström.